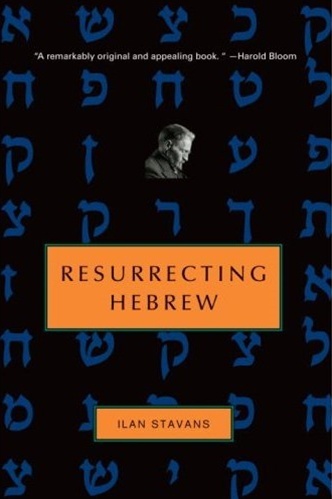 Here is the stirring story of how Hebrew was rescued from the fate of a dead language to become the living tongue of a modern nation. Ilan Stavans’s quest begins with a dream featuring a beautiful woman speaking an unknown language. When the language turns out to be Hebrew, a friend diagnoses “language withdrawal,” and Stavans sets out in search of his own forgotten Hebrew as well as the man who helped revive the language at the end of the nineteenth century, Eliezer Ben-Yehuda. The search for Ben-Yehuda, who raised his eldest son in linguistic isolation–not even allowing him to hear the songs of birds–so that he would be “the first Hebrew-speaking child,” becomes a journey full of paradox. It was Orthodox anti-Zionists who had Ben-Yehuda arrested for sedition, and, although Ben-Yehuda was devoted to Jewish life in Palestine, it was in Manhattan that he worked on his great dictionary of the Hebrew language. The resurrection of Hebrew raises urgent questions about the role language plays in Jewish survival, questions that lead Stavans not merely into the roots of modern Hebrew but into the origins of Israel itself. All the tensions between the Diaspora and the idea of a promised land pulse beneath the surface of Stavans’s story, which is a fascinating biography as well as a moving personal journey.